This entry was posted in EVENTS on July 22, 2018 by Lynn Boyd. 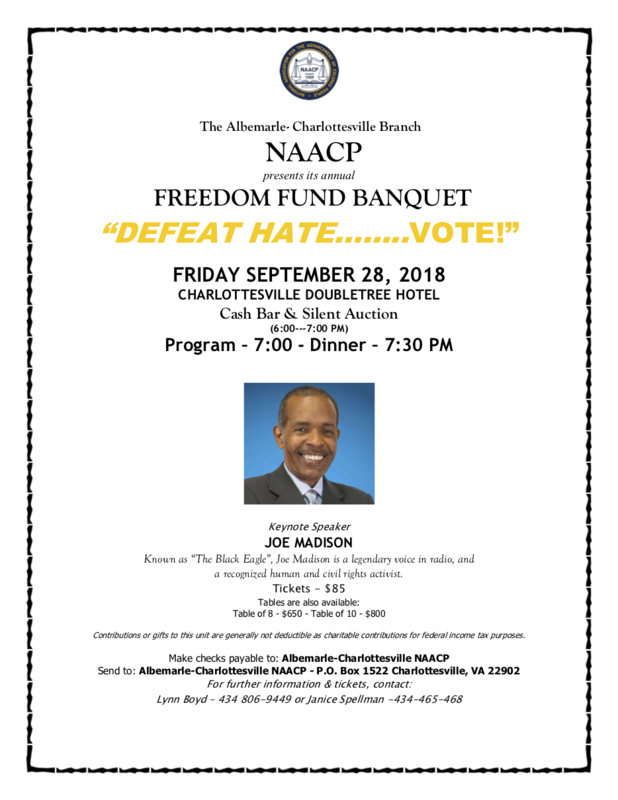 The NAACP is a members organization, and can be no MORE successful than its members make it. We have a long and honorable tradition of social justice in this country sending forth the clarion message that when we act together we can overcome. It has been said that if the NAACP were a single individual, she would be in her sunset years. A person who had filled a lifetime with the experience of the NAACP would now face the challenges of an aging body invested with the kind of wisdom that never grows old. The NAACP is instead, an institution that has, in a comparatively brief span, been a reliable conscience of the nation as well as its fighting spirit. Alongside the world’s ancient civilizations, the NAACP is just a baby. Youthful vigor continues to fuel its ideas, and speaking truth to power remains its mission.